Cuttack: Music will get a new lease of Life…Again, Maestro will descend on earth to compose, song and even, act. Everlasting music and songs as well as inexplicable persona of legendary music maestro Late Akshaya Mohanty is going to be eternal forever. 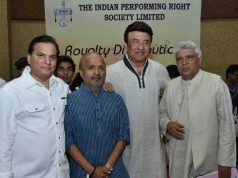 Mustaque Nadiadawala from Nadiadawal Grandsons Entertainment Pvt. Ltd., Mumbai (Famed with superhits Bollywood movies like Jeet & Judwa, 2 States, Houseful Series, Phantom & Rangoon etc.) is in talk with Akshaya Mohanty Trust to bring ‘He Phaguna Tume’/ ‘Spring over Silvercity’, the film based on the musical journey of the maestro on the silver screen. Mustaque Nadiadawala came calling on Late Akshaya Mohaty’s family at his residence, ‘Bichitrabarna’ here in Cuttack to express his gratitude towards Akshaya Mohanty for his unparalleled contribution to the world of music. Jublee Sundaray, Maker & Actor of the proposed film was also present along with the technical and creative directors, Pradip Dash and Sibasis Satpathy. Amongst others present there is Dipti Ranjan Martha. ‘He Phaguna Tume’, the working title for the proposed film is a large canvas that paints the musical journey and an apocryphal of Akshaya Mohanty, from a lover to a legend, from a musician to a maestro. 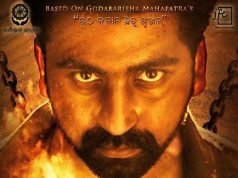 The story of this larger than life drama has been penned by Eminent English Poet Nikunja K Sundaray where as the dialogue has been written by Devdas Chhotray. Eminent Poet & Writer. Incidentally, some vital events related to the script capturing overwhelming events have already been completed. 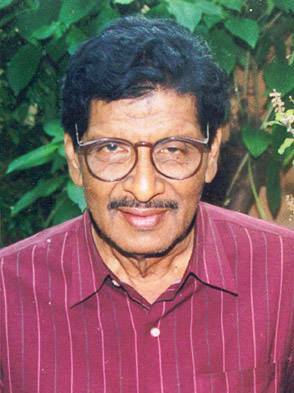 The uniqueness of the film is that all the 8 songs have been written and composed by the legend Akshaya Mohanty himself. In fact, the script is based on the life, events and dreams of Akshaya Mohanty depicted by himself and thus the film is the making of an unfulfilled dream. The binding script has already been registered under Indian Copyright Act, Copyright Office, Govt. of India. As mutually decided by Mustaque Nadiadawala and Akshaya Mohanty Trust, the film is expected to go on floor this year only.